Tangled and True: patch tutorial. Never before have my girls had holes in their jeans, until now. 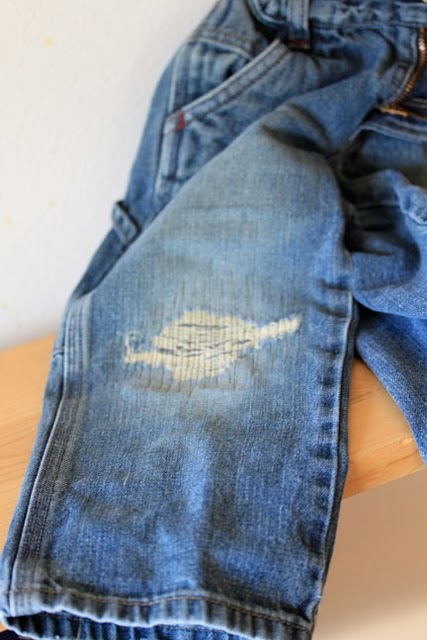 In the last couple months they have worn holes in nearly every pair of jeans they have. It is hard to want to go out and buy them brand new jeans when the summer is upon us, and by fall they will probably be too short. My amazing friend (and puj owner/designer) Katie, recently started her own puj blog. 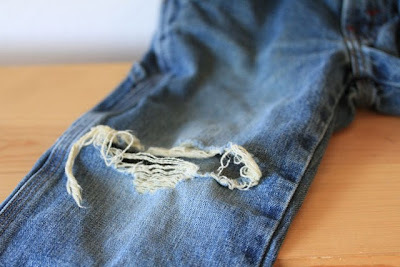 There you will find this easy and stylish tutorial to patch jeans. I am anxiously awaiting the arrival of my sewing machine (still in storage in WA) so the girls jeans can last a little longer. They pretty much look like they were meant to have that patch. No? Wow! that is one of the best patch jobs I have ever seen. Bookmarking that tutorial! I'm bookmarking this too. Austerity looms, reckon we'll all be learning patching and darning soon as a matter of course.